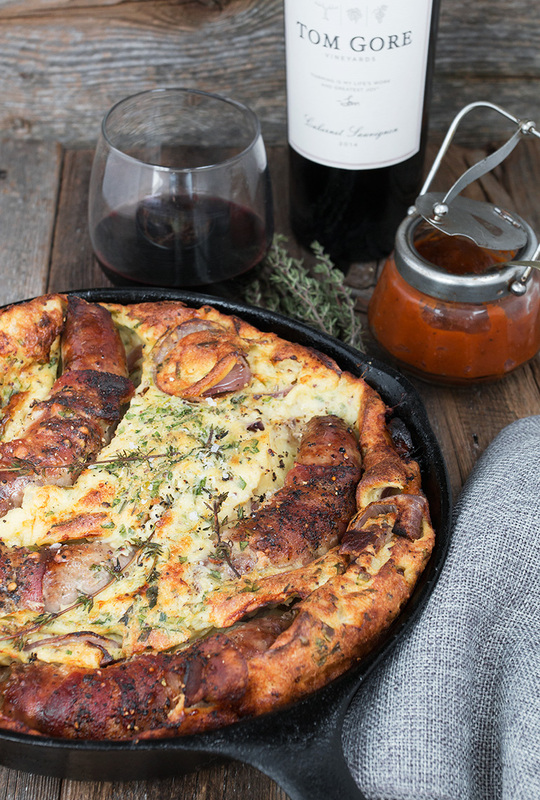 Learn how to cook up this wonderful Toad in the Hole with Cabernet Ketchup pair it with! Disclosure: This post is sponsored by Tom Gore Vineyards, whose wines are new in LCBO stores in Ontario! As always, all opinions are my own. Thanks for supporting brands that support Seasons and Suppers. Have you ever made your own ketchup? It’s a fun project and the results will make you look at ketchup in a whole new way! 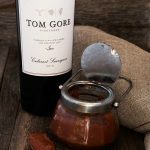 This Cabernet Ketchup recipe comes courtesy of Tom Gore Vineyards and uses their Cabernet Sauvignon. Their Cabernet Sauvignon is a lovely dark red wine, with aromas of cherry and currant, notes of leather and tobacco leaf, along with hints of dark chocolate and mocha. It is medium bodies and balanced, making it a perfect red wine choice for any occasion. 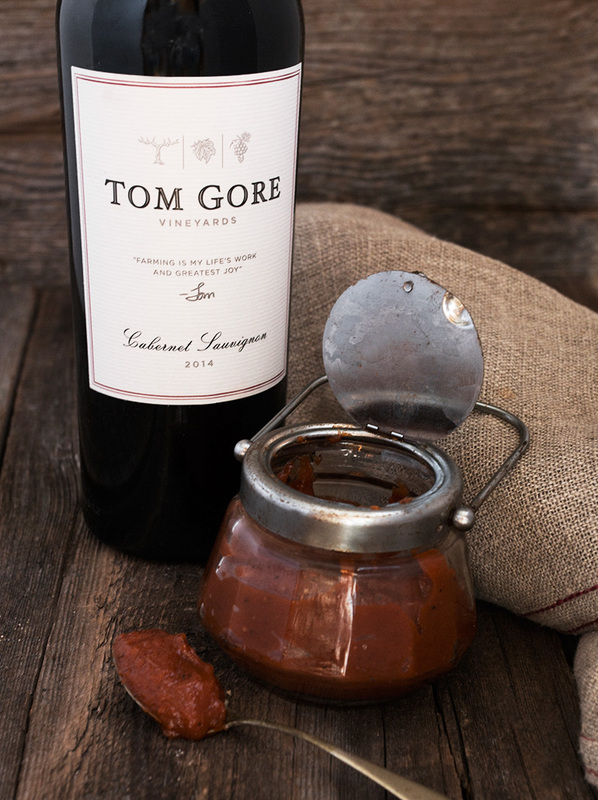 The story of Tom Gore Vineyards is inspiring. Subtitled “the work of a farmer”, Tom Gore brings a farmer’s perspective to winemaking. For Tom Gore, farming is a way of life. He tended to his family’s vines since the age of seven, growing grapes for some of the finest winemakers in the region. Today, he is excited to venture out with wines of his own. His wines demonstrate how their attention to farming impacts the flavours and quality of the wine. 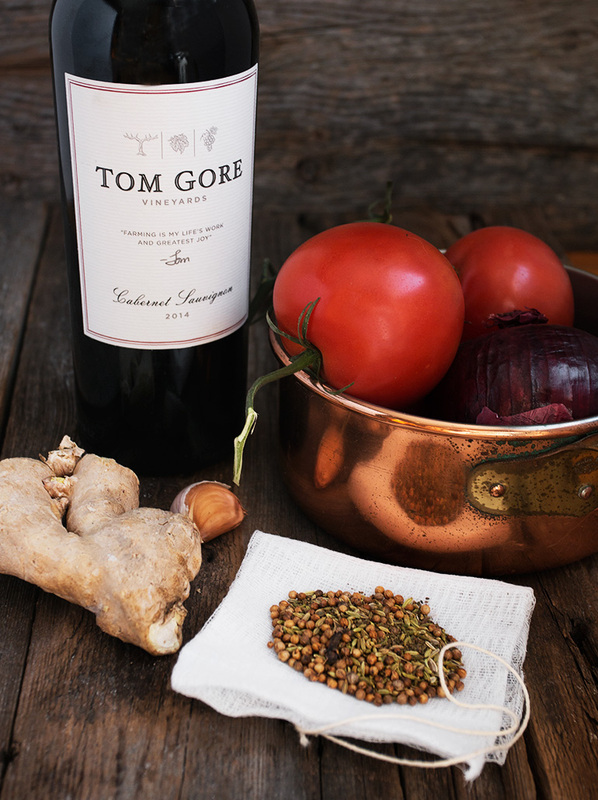 Tom Gore wines are focused around being approachable, of exceptional quality and have great balance. Beyond grape growing and wine making, Tom Gore maintains a small micro-farm, keeps bees for honey, raises small livestock, chickens for fresh eggs, olives for olive oil and grows over 60 different fruits and vegetables, including 15 different kinds of tomatoes! This passion for fine ingredients and farm-to-table philosophy is obvious in their Cabernet Ketchup recipe, which starts with a wonderful collection of fresh ingredients, a lovely wine and whole spices that infuse their flavour in to the ketchup. The whole, toasted dried spices are packaged in to a bouquet garni, where they cook along with the sauce to impart their flavour, but are removed at the end, to deliver a smooth and flavourful ketchup. Look for Tom Gore Vineyards Cabernet Sauvignon ($19.95) now at LCBO stores in Ontario and please, always drink responsibly! I used cheesecloth and kitchen string to make my bouquet garni. Be sure to use unwaxed string. If you don’t have cheesecloth available, you can use a coffee filter, a tea strainer or a piece of clean cotton or muslin. Note that the dried spices for the bouquet garni are toasted. To toast your spices, simply scatter in a skillet over medium heat and stir around until they become fragrant. Remove to a bowl to cool. The start of the ketchup recipe involves “sweating” the onion, garlic and ginger. Sweating is a process of cooking over low heat to encourage the ingredients to “sweat” or release some of their moisture and soften, but to not brown the ingredients in the process. As it is Winter here in Canada, the choice of tomatoes was limited, but I looked for the nicest tomatoes I could find right now, which ended up being tomatoes on the vine. Roma/plum tomatoes would be a great choice for this ketchup, if you can find some nice ones. As noted, I paired this lovely Cabernet Ketchup with a classic, British Toad in the Hole. 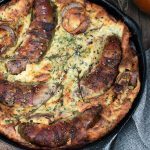 While a bit of a snicker-worthy name, this dish of sausage, bacon, herbs and red onion in a simple batter of milk, eggs and flour is wonderfully delicious comfort food. 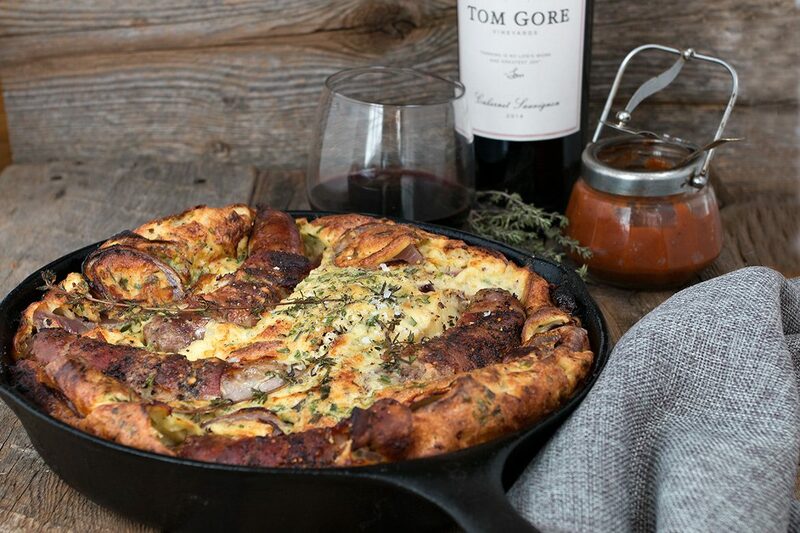 In the best farm-to-table tradition, I gathered farm-fresh eggs and milk, locally-made artisan pork sausage and a variety of fresh herbs for my version here. The Cabernet Ketchup paired beautifully with this sausage and egg dish! The Toad in the Hole recipe is included below, as well. A delicious homemade ketchup, flavour with whole spices and cabernet. In a large heavy-bottomed sauce pan, on low heat, sweat onion, garlic and ginger with the oil oil until onion is soft and translucent. Meanwhile, make a bouquet garni with the coriander seed, fennel seed, celery seed and clove. Turn heat to medium-high and add the tomatoes and water. Bring to a boil, then reduce heat to a simmer. Simmer until reduced by half, then remove from heat. Place mixture in a blender and blend until smooth. Pass through a sieve (not too fine) in to a fresh pot. Add the bouquet garni, sugar, wine and vinegar. Add remaining spices. Simmer mixture until it thickens and reaches the consistency or ketchup. Remove from heat and remove and discard the bouquet garni. Allow to cool, then transfer to a jar, bottle or small bowl. Use immediately or cover and refrigerate to use later. To appreciate the great flavours, serve at room temperature. 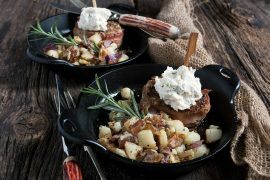 A hearty and delicious skillet dish, with sausage, bacon and red onions surrounded by a simply batter. In a medium bowl, whisk together the flour, eggs, milk, mustard and fresh herbs. Cover and let stand 1 hour. 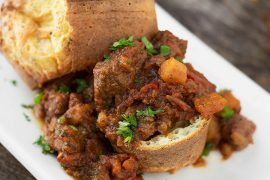 Preheat oven to 425 F. Place oil in oven-proof skillet or baking dish (enough for a thin layer over the entire bottom) and place in the preheated oven while you prepare the sausages. Wrap each of the sausages with a strip of bacon. Remove hot skillet with oil from the oven. Place the sausages in the middle and scatter the red onion slices around the outside. Place in the oven for 15 minutes, then remove, flip sausages and stir onions. Return to oven for a further 15 minutes. Have a baking sheet handy and re-whisk the batter near the end of this cooking time. Remove from oven. Place skillet on the baking sheet and quickly pour the batter over-top. Return to oven and allow to cook, without opening the oven door, for 25-30 minutes, or until puffed and golden. Jennifer, this looks wonderful! Can I double the ketchup recipe and process it in jars for holiday gifts? I am overrun with tomatoes and would love to try. Thanks! Oh I’ve made ketchup at home before once, but I definitely wasn’t smart enough to add wine! I bet that makes it taste so sophisticated! Can’t wait to try it out. And love this cozy looking skillet you’ve got there, too! Thanks Liz and yes, the wine addition is definitely inspired! Oh, this post is so beautiful and was such a pleasure to read, Jennifer. I didn’t want it to end. Oh to have the life of a wine maker and a small farm as well! Heaven for sure! 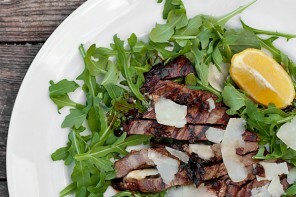 I love the ingredients, your mouth-watering descriptions and the love that you have put into your creations – fabulous! I’m very excited to try Tom Gore wine, the flavours sound incredible. I’ll be looking for it this weekend! Thanks Robyn and yes, what a wonderful story the Tom Gore Vineyards is! Cabernet ketchup?? What a great idea! I can imagine pouring that on just about everything! Yikes, there’s SO much to love in this post!! I adore ketchup, and the more flavors and spices the better as far as I’m concerned…and I just want to curl up with that Toad in the Hole :) Can I just sit here and stare all day?? I’ve always been a ketchup fan, and I love the idea of your Cabernet Ketchup. I can just just imagine the rich, warm flavors of all the herbs and spices… can’t wait to try it! 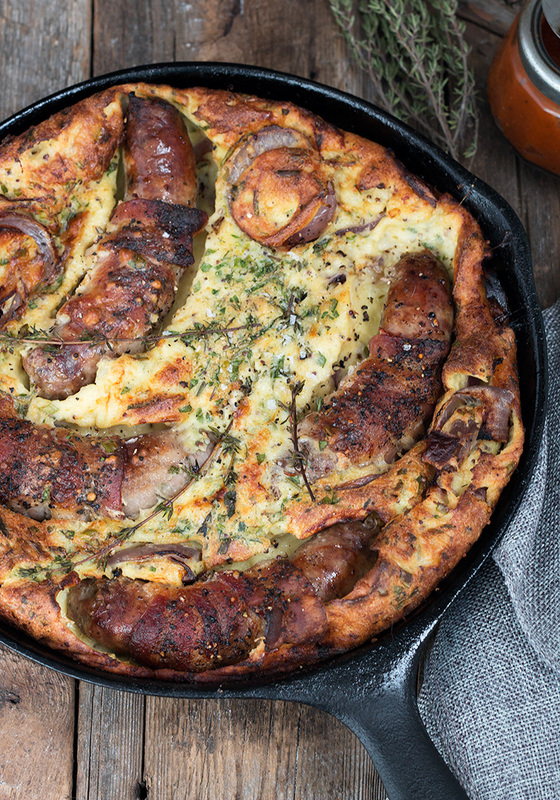 And this Toad in the Hole has to be the prettiest I’ve ever seen. You come up with the most amazing and beautiful dishes! Love everything about this post Jennifer! Cabernet Ketchup you say?? Such an awesome idea, that I’ve totally got to try! 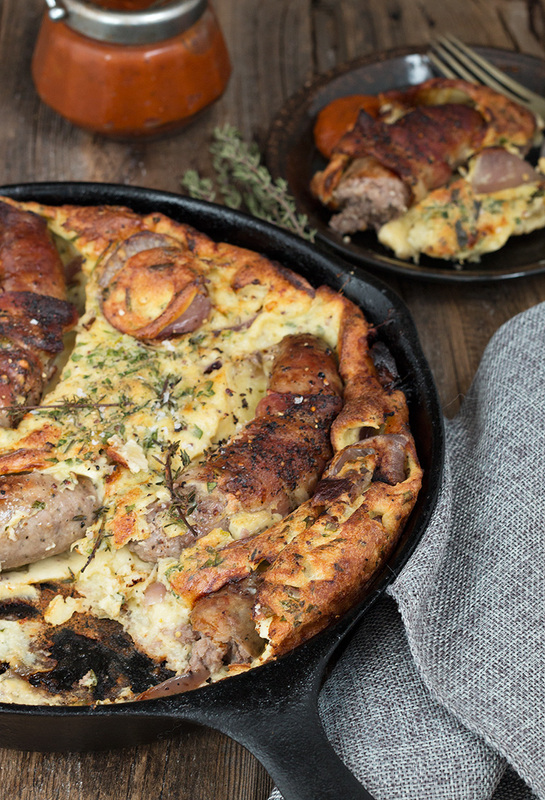 And toad in the hole…it looks amazing! Total winner! Thanks so much, Mary Ann. We loved both the ketchup and the Toad in the Hole (and the wine, of course ;) A perfect meal! Ketchup is one of those things we all love but honestly, I’ve never even thought to make it from scratch! I love this and can imagine that it’s an entirely different experience! This dish, with that ketchup, has got me hungry, my friend! Delicious! Thanks so much, Annie :) Homemade ketchup is really easy and such a treat! I especially love to make it when tomatoes are field fresh! Oh geez – my husband would FLIP for the homemade ketchup and the Toad in the Hole! This is beyond creative and gorgeous. What a terrific idea. The wine sounds wonderful and I love their video. Looks like a great group and a beautiful farm. Scheduling to share and pinning!